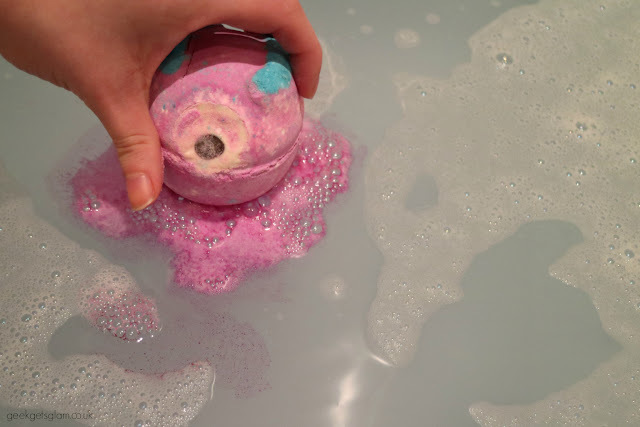 It's safe to say I was pretty shocked, in a good way, when I saw how many Halloween bath bombs Lush Cosmetics had released this year. They usually keep it pretty low key and have a couple of products for the season but this year I was pretty pleased a wide range of spooky goods on offer! This little thing here is called Monsters' Ball. It was love at first sight for me because, shallow as it sounds, he looks so darn cute. 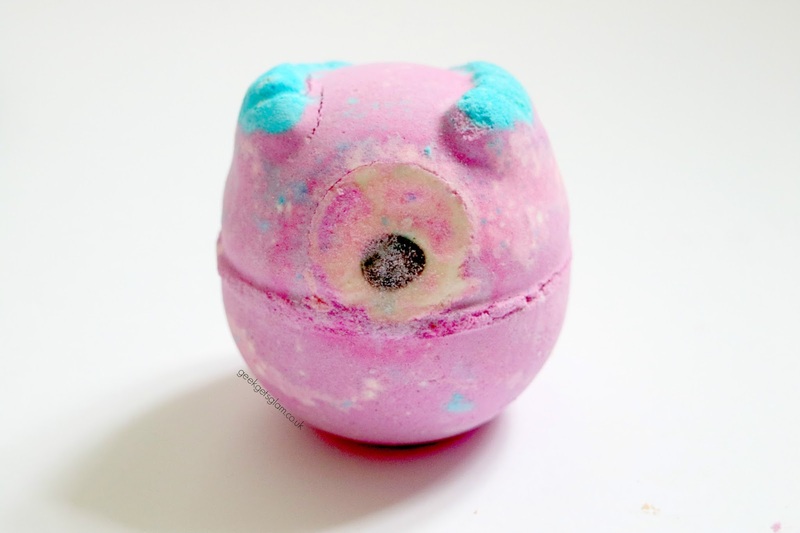 He kinda has that Mike Wazowski look about him with his big, chocolate button eyeball and I will pretty much be suckered into buying any bath product that has a cute face (I'm lookin at you Butterbear). So, despite being cute, was Monsters' Ball any good once I threw him to his watery grave in my bath tub? I think it's safe to say that Monsters' Ball packs a punch. The smell alone is enough to get you hooked - it's full of lime and neroli but I could really pick out the zesty lime so if you're a citrus lover you'll like this one. It reminded me of some kind of sweet I used to eat when I was a kid as it kinda has a sweeter edge to the citrus. Whatever it is, it smells amazing. I can't bathe without bubbles so I included a before picture of my bath in case it altered the Monsters' Ball colour but the colours it does leave are spectacular. 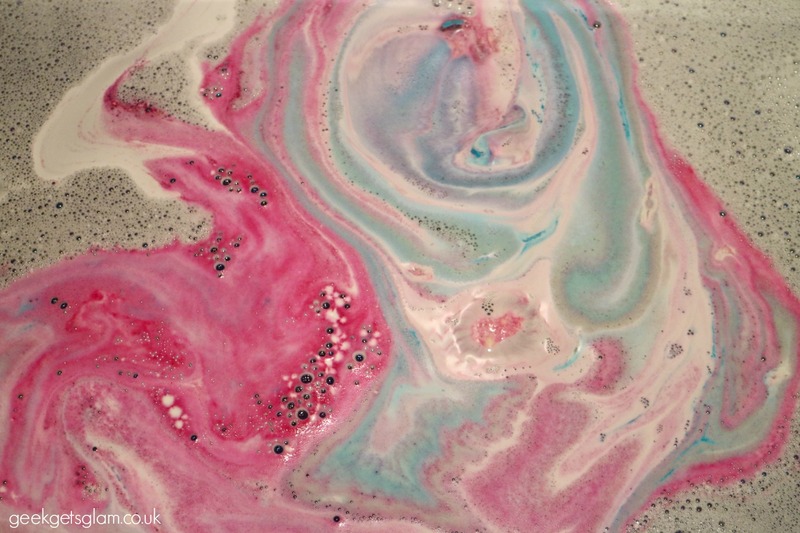 This bath bomb is a fast fizzer, leaving swirls of blue and pink to fill your tub. 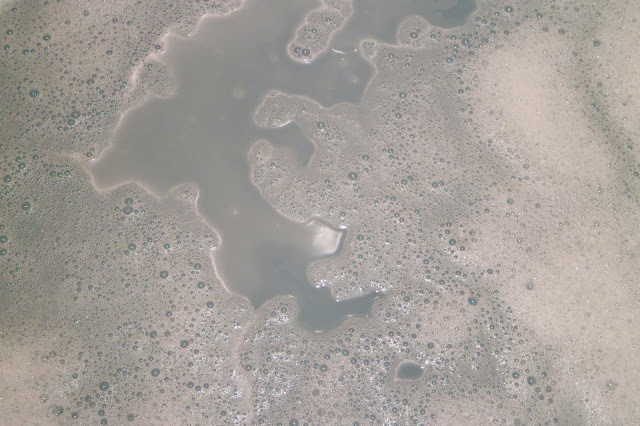 The water goes a deep purple colour (hopefully from the bath bomb and not just because my bubble bath was a bit blue) and the fragrance is mouth watering. I could have stayed in the bath all night, I loved Monsters' Ball that much. If you're after a less spooky, more cuddly monster to spend your evening with this Halloween, pick up a Monsters' Ball and I promise you will love him as much as I do! I reckon this is one I'll be stocking up on... are you going to give Monsters' Ball a try this year?